Nest Bedding launched in 2012, and offers 8 different mattress models with different designs. 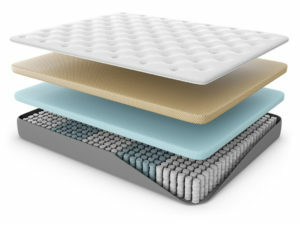 Each mattress model is available in several firmness levels, which is unique for bed-in-a-box companies since most brands offer one firmness option. The company also stands out because its mattresses and bedding products are available both online and in stores. The company has several locations in Los Angeles, San Francisco, New York, and Chicago. Nest Bedding launched the Alexander Signature Hybrid series after the company first started, and reconfigured the mattress model and its design in 2016 to improve its overall performance, and its support and comfort. Firmness: Unlike most bed-in-a-box companies, Nest Bedding’s Alexander Signature Hybrid is available in two firmness levels (medium and luxury firm). No Smell: Customers report this mattress has no smell. The organic materials and eco-friendly manufacturing processes used eliminate odor and the offgassing. Warranty: Nest Bedding mattresses come with a 20-year warranty, which is above-average for the mattress industry. Comfort: This mattress is supportive and also performs well in relieving pressure. Price: This mattress model is right on par with similar competitor brands while also using high quality, organic and eco-friendly materials. Motion transfer: Customers report that some motion transfer is felt when their sleeping partner moves when changing positions or getting out of bed. Nest Bedding is headquartered in in Albany, California. The founder of the company, Joe Alexander, has several decades of experience working in the mattress industry. Alexander is an active athlete and a health food junkie. He was responsible for designing several mattresses for previous companies he worked for, and made the decision to begin his own company. His goal was to design mattresses and products that promote better sleep. The company’s name was inspired by Alexander’s preference for using local and natural materials, similar to what a bird does when building a nest. Nest Bedding is known for its American-made products and its focus on organic and eco-friendly materials and manufacturing processes. The nature of the organic and natural materials used does come at a higher price, however, as compared to other competitor mattresses. The company is also known for being community-oriented. Nest Bedding garnered an A+ through the Better Business Bureau (BBB), and is considered to have excellent customer service. More information on BBB’s review of Nest Bedding and BBB’s mission is available here. Nest Bedding’s Alexander Signature Hybrid mattress is a foam and pocket-coil innerspring mattress. The 13-inch mattress is available in medium or luxury firm firmness levels, and in Twin, Twin XL, Full, Queen, King, California King, and Split California King sizes. Majority of customers choose the medium firm mattress, as it is recommended for most sleeping positions. All foams used in the mattress are CertiPUR-US Certified. Comfort (top): The first and surface comfort layer for the medium firm mattress is a 2-inch quilted foam that offers cooling technology to help sleepers stay cool. For the luxury firm model, the mattress has a thinner top comfort layer that is 1.5-inches thick. This layer for both models is finished with a breathable, stretch fabric blend of polyester and cotton. This layer has a 4lb density. Comfort: The second comfort layer is a 2-inch foam layer made with a copper-infused gel foam, designed to promote airflow. This layer has a 4lb density. Transition: A 2-inch third transitional layer is used to help marry the comfort of the comfort layers with the support of the foundational support layer. This layer offers additional support to the first 2 comfort layers, and also helps support heavier sleepers. Support core: The support core is a 7-inch layer made with pocketed coils that provide a supportive and responsive foundation for the mattress. The 5-zone coils are designed to offer customized support for sleepers with different weights, shapes, and sizes. This layer also allows for some bounce to the mattress, because of the responsiveness of the coil construction. This layer has a 2lb density. The mattress is compatible with box springs, adjustable bases, slatted foundations, or metal platforms and frames. Each mattress and its materials are made in the U.S. by Nest Bedding. Nest Bedding offers a 100-night sleep trial. If customer are unhappy, they can get a refund or make an exchange. The company requests that customers keep the mattress for at least 30 days before making a return or exchange, as it can take 30 days for the body to adjust to the mattress. For returns, Nest Bedding requires customers to donate original mattresses to a local charity and they will help customers select a new mattress. 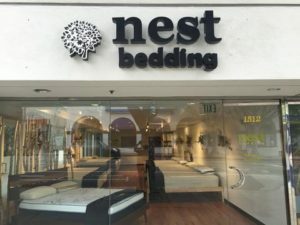 After the donation is made, Nest Bedding requests a donation receipt and then will issue a refund. Nest Bedding does not allow a 100-night sleep trial, returns, or exchanges on international orders. All international order sales are final. Shipping is free to the 48 continental states. Nest Bedding charges about $150 for shipping to Hawaii or Alaska. The company ships mattresses via FedEx and does not require a signature for delivery, so customers don’t have to be home to accept the delivery. Nest Bedding does offer expedited shipping at an additional cost. Customers can contact the company for a quote by sending an email to sales@nestbedding.com. Mattresses are shipped 2-4 days after they are ordered. For items ordered to be shipped internationally, customers can choose “International Checkout” at the time of checkout to determine costs. Each mattress is compressed, rolled, and then placed in a compact box for shipment. Boxes used for shipment are about 18” x 18” x 48”, and each shipment ranges in weight from 100-150 pounds. Once mattresses are unboxed, they can be slept on within hours of installation, and do take about 24-48 hours to fully expand. Nest Bedding offers a 20-year warranty for its mattresses. Each warranty is only valid for the original customer and for regular or proper mattress use. The company defines proper use as the mattress being installed on a surface that allows airflow and supports the entire mattress, and regular wear and tear. The warranty does cover defects, like seams coming apart, visible impressions greater than 1-inch, coil feature depressions of 1-inch or more. The warranty does not cover other cosmetic appearance issues or stains, soils, or other issues. 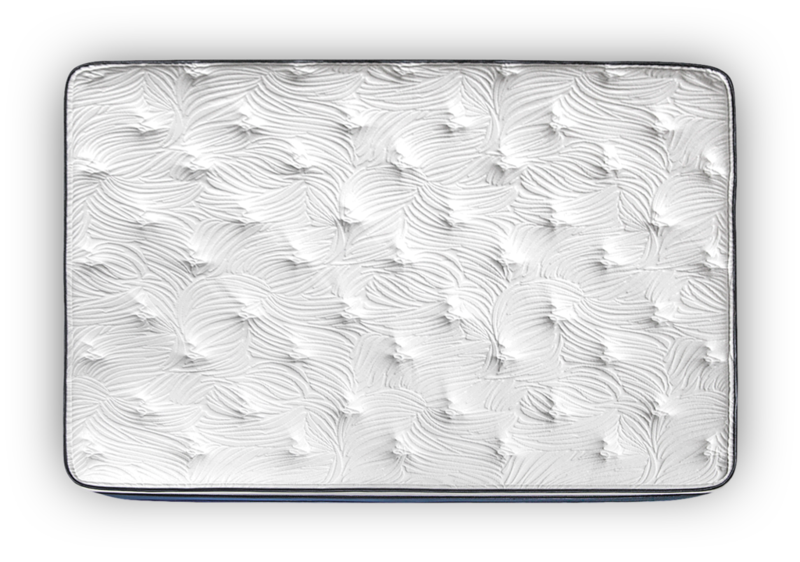 The Alexander Signature Hybrid series performs much like other mattresses with several foam layers in the motion transfer category. Both the foam layers and the pocketed coil core are designed to absorb movement to minimize motion transfer (on average sleepers feel little to no movement). Some sleepers do report they can feel when their sleeping partner moves or gets up. When this Alexander Signature Hybrid mattress model was reconfigured a few years ago, the company worked to improve its edge support. The mattress performs above average as compared to other competitor brands in this category. 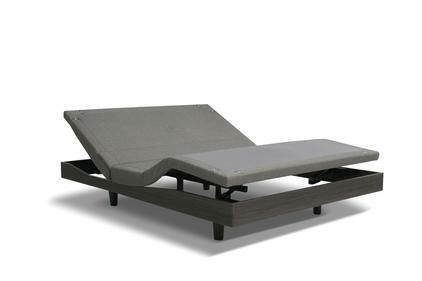 The pocketed coils are designed to span the entire mattress, even to the outer edges. Lower gauge coils that are thicker and stronger are used to help offer more support around the edges of the mattress. The mattress does sink down to some extent when weight and pressure is applied to the edges of the mattress. Mattresses with foam materials usually have a long lifespan because of durable materials used. A 20-year warranty is a good indicator that these mattresses will last between 12 and 15 years if they are used properly. The Alexander Signature Hybrid model is available in several firmness levels, including medium and luxury firm. The difference is — the medium firm mattress has a thicker top comfort layer (2 inches) than the luxury firm model (1.5 inches). On a scale of 1 to 10 (with 1 being the softest and 10 being the most firm), the medium firm option is a 5.5, and the luxury firm model is an 8.5. The top foam comfort layer and cover both promote airflow. The top cover fabric made of a cotton-polyester blend material that is designed to be breathable to help keep sleepers cool. The second comfort layer is a gel-infused foam material that helps with airflow and prevents heat from being trapped, which is common complaint with most foam mattresses. Most sleepers do not report sleeping hot with this mattress. Alexander Signature Hybrid mattresses have no smell. The hygenic and organic materials used eliminate smell and offgassing odors. This multi-layer mattress is above average in bounce for foam mattresses because of its responsiveness, and performs well in this category. Alexander Signature Hybrid mattresses benefit from mattress protectors to help avoid stains and spilling on the surface of the mattress. This mattress cover is made of a quilted fabric that is a cotton-polyester blend and is not removable. For cleaning stains or spills, dry and blot the spot with a towel and allow the spot to dry completely before putting bedding back on the bed. The mattress can be cleaned regularly with vacuum cleaners that have an attachment to remove debris, dust, and pet hair. 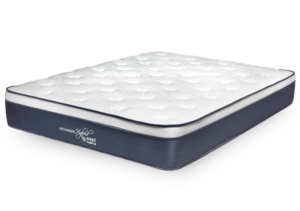 The Alexander Signature Hybrid mattress should not be flipped, because the innerspring support foundation should always be at the bottom of the mattress. The company does recommend that customers rotate the mattress every 3 months.